Beyond Thanksgiving, November is a month where I find myself particularly grateful. 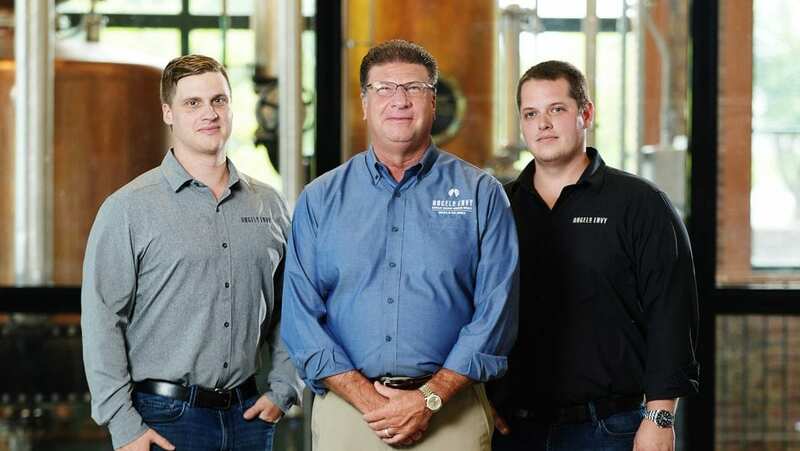 We recently celebrated the second anniversary of our distillery’s opening, and my thoughts often turn to my father. When he and I had the idea for Angel’s Envy, I don’t think either of us ever imagined that it would grow into the business that we have today. But I know he’d be proud of what we’ve become, just as I’m proud of my sons Kyle and Andrew for joining in on our family’s endeavor and being a major part of this wonderful journey. Our success took a great deal of hard work and we didn’t do it alone. At every step of the way, we’ve had an amazing team of professionals who’ve helped us create our world-class whiskeys. Each one of them is in this business for the same reasons my father was, as well as my sons and myself today: a shared sense of family and purpose. Angel’s Envy may have started small, but it takes a remarkable collection of people to bring our spirit to life. On the distillery side, we have our amazing production and bottling teams, who are responsible for the day to day distilling and packaging of Angel’s Envy. Our exceptional Distillery Guardians, brand home team and front desk staff work to personally ensure that every guest who steps through our front doors feels welcome. The cocktail specialists behind the bar in our Finishing Room create delicious, one-of-a-kind cocktails—I have not always been a cocktail guy, but I am blown away by their drinks. Out in the field, we have our excellent regional managers, who guide our team of Whiskey Guardians. These Guardians are a diverse group of bartenders and hospitality professionals that serve as our voice in their respective cities and are responsible for countless favorable Angel’s Envy first impressions. We’re also grateful for our marketing team, who have been making us look and sound good since our brand’s beginning, as well as our various agency partners. Locally, we couldn’t do what we do without neighbors like Vendome Copper & Brass Works, Kelvin Cooperage, Louisville Tap and Doug Langley Farms. And finally, we simply have the greatest supporters in the industry. Being out in the field and meeting our fans is the best part of my job. I’m on the road and away from my family quite a bit, but it makes my life so much more exciting to get to meet new friends and family at every event. When I see the same faces showing up, it tells me that we’ve made a great connection beyond what goes into the bottle. I would like to say thank you for supporting the Henderson family, thank you for supporting Angel’s Envy and thank you for your affirmation of the work we’ve done so far. The connection we share with you continues to inspire us to do more great things together. You truly give us something to be thankful for.